Clear your entire vehicle of snow and ice. Snow left on the roof and hood can wind up on the windshield or rear window, obstructing your view. Bang off the snow from your shoes before you get into your vehicle to avoid slippery gas and brake pedals. Remember that posted speed limits are meant for ideal conditions; adjust your speed when the roads are snowy/icy. Try not to make sudden stops or direction changes, such as going across three lanes of traffic to make that last minute exit. Make sure to always leave enough space between you and the vehicles around you in case a sudden stop is necessary. Keep your headlights on when visibility is poor. Drive defensively. Do your best to anticipate what other drivers may do. Slow down while approaching intersections. Be ready for sudden icy patches on bridges and in shaded areas. 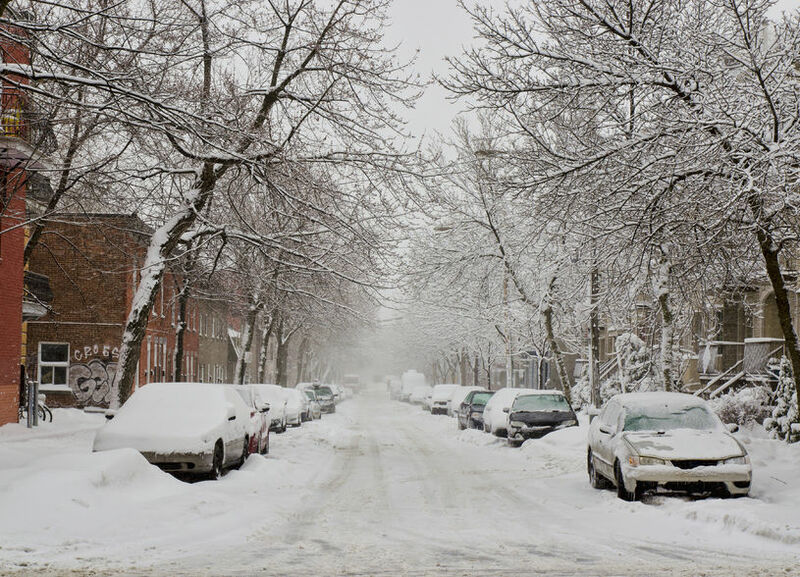 Keep an eye out for pedestrians who may not be able to use uncleared sidewalks. Do not drive during a snow storm, unless it is imperative. Car Stuck In The Snow? Don’t spin your tires. This will only dig you in deeper and possibly damage your tires. Still stuck? Safely get out of the car and try to dig out any excess snow around the tires. If you have sand, kitty litter or even an old piece of cardboard, put it under your tires before you try to pull out again.